The CMA Awards are coming up next week and I’ve got the perfect recipe to go along with Country’s biggest night! 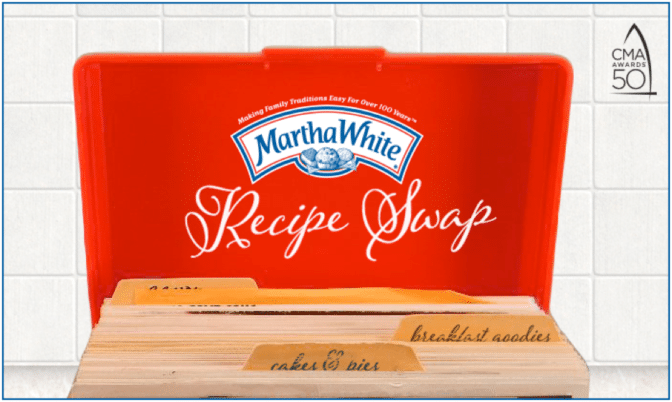 My friends at Martha White are sponsoring the Country Music Association so it only makes sense to include some Martha White deliciousness in my recipe. These Cornbread Crusted Ranch Chicken Bites are the perfect way to highlight one of my favorite Martha White products, Self-Rising Cornmeal. We love the CMA Awards at our house. It’s one of the few awards shows we can still watch as a family and not have to worry about having to cover Jack’s eyes for some of the performances. And those performances are our favorite part. Since this is the 50th annual awards show, it promises to be amazing. While you’re watching, much on these Chicken Bites. They’re easy and packed with some amazing flavor from the ranch mix and the cornmeal gives them some incredible crunch that my fam-jam just loved. I could barely get the picture shot before they scarfed down these things. 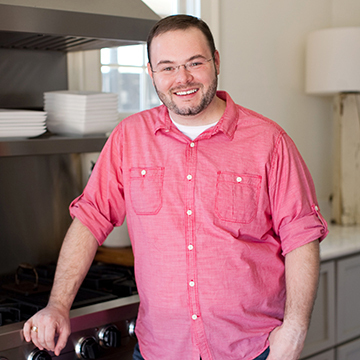 My recipe is part of the Martha White Recipe Swap to celebrate the CMA Awards! 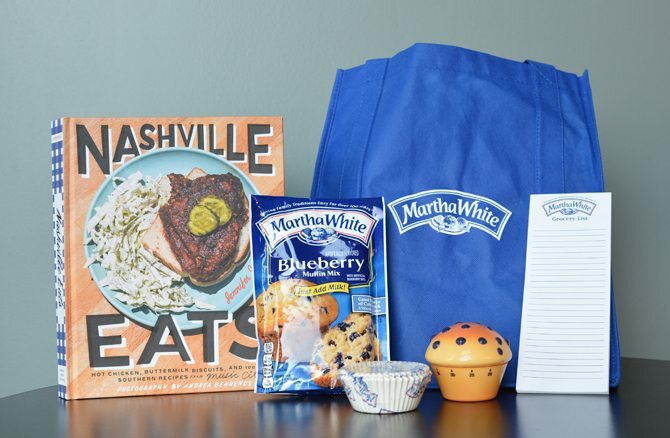 And the folks at Martha White are giving away an amazing prize pack. Be sure to scroll to the bottom of this post for the deets. And be sure to tune in to the CMA Awards November 2nd on ABC. Check your local listings for times and stations. Be sure to visit all my friends and see what they’ve brought along for the Recipe Swap! Mix the chicken breast pieces and ranch dressing mix together in a small bowl and place it in the refrigerator for 15 to 20 minutes to allow it to marinate. Heat about 2 inches of oil in a heavy bottomed pot or dutch oven to about 350°F. Place the flour in one small bowl. Whisk the egg and water together in another bowl. Place the cornmeal in a third bowl. Remove the chicken from the refrigerator and dredge each piece in the flour, dip it in the egg wash, then coat it with the cornmeal. Fry in batches for 3 to 5 minutes or until golden brown. 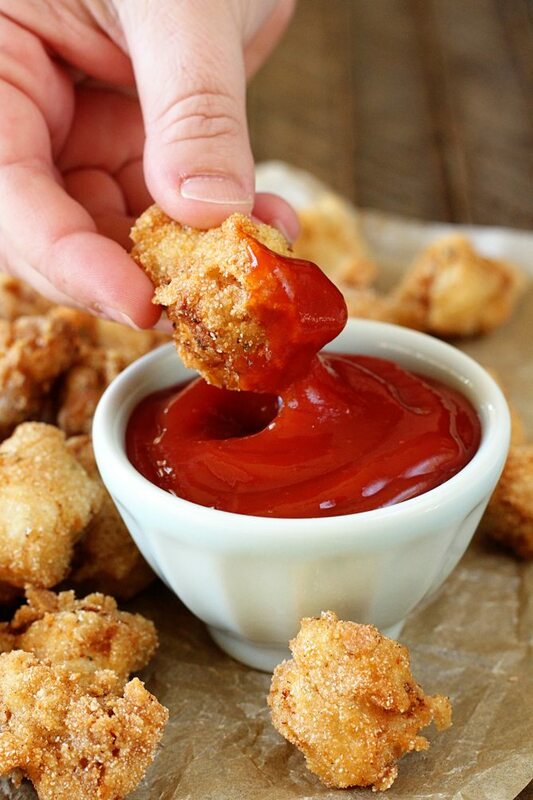 Serve with your favorite dipping sauce or simply by themselves. My favorite product is the Martha White White cornmeal that I use to make my regular cornbread with. Stacie……………………………. OMYGOODNESS I need these in my life 🙂 what awesome idea. Pinning this recipe for sure. I love the strawberry cheesecake muffins! OH MY GOSH! MARTHA WHITE SELF-RISING CORNMEAL IS THE BEST! I like the Pumpkin Spice Muffin Mix. Yum! I’ve used Martha White flour my entire life and I could not imagine what it would be like to be without it. My biscuits would be no good, my pie crust would probably flop and my cornbread dressing just would not taste the same without Martha White cornmeal. 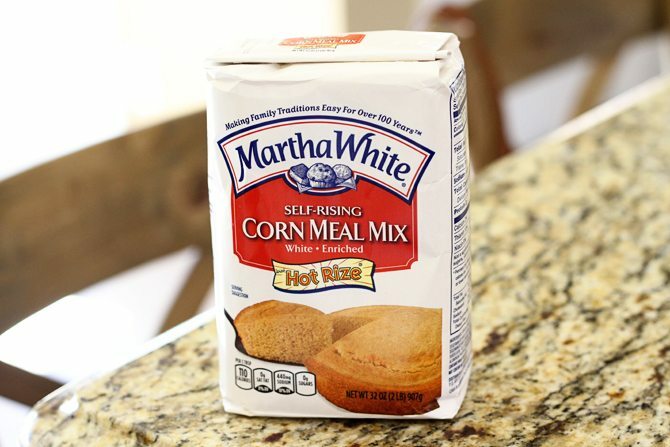 My favorite product is Martha White’s White Cornbread Mix! We eat them at least once a week! Love Martha White Flour and Corn Meal and muffin mixes. Just love Martha White. Can’t wait to try these chicken bites! Martha White Cornmeal is a staple in my home. We make hoe cakes using it every week. Love Them! Always a fan of the Martha White corn meal mixes. Makes the best cornbread. Can’t wait to try this recipe! My favorite is the Martha White muffin mixes. My wife loves the lemon poppy seed and my kids and I love mixing strawberry cheesecake and blueberry. So yummy straight out of the oven with a little bit of butter or slightly warmed in the microwave with a little butter. My favorite is all of the muffin mixes. I love,love, love all the mixes….used them all my life…(and I’m old!!!) Favorite?! Lemon Poppy seed or Apple Cider Muffin…..still hard to pick! OH! DON’T YOU KNOW, ANY AND ALL WITH MARTHA WHITE????? I love me some Martha White muffins! Especially the cream cheese flavors. These chicken nuggets look delicious; thanks Stacey! I love the cornmeal….perfect cornbread every time! Thanks for all of your great ideas and recipes! Martha White Cornmeal Mix is the Best! Over 40 years in my kitchen! Love ALL of the muffin mixes and always keep some on hand. Martha White Cornbread Mix makes the BEST cornbread in my iron skillet. Total perfection! 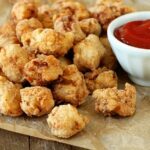 I have these great looking chicken bites on my list to make. They look very good! We love the strawberry and blueberry muffins. The cornbread chicken bites looks wonderful! I love the muffin mixes, especially blueberry! 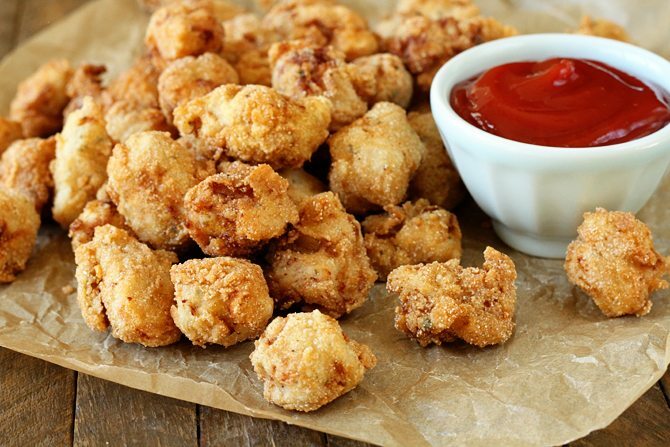 These chicken bites look really good! Martha White Blueberry Muffin mix! The best! Love the Martha White All Purpose Flour. Never fails me. I love using all the muffin mixes but Blueberry is the best. I can’t find Martha White flour in this area. Hot water corn bread is my favorite decadent carb with Martha White HotRize corn meal. 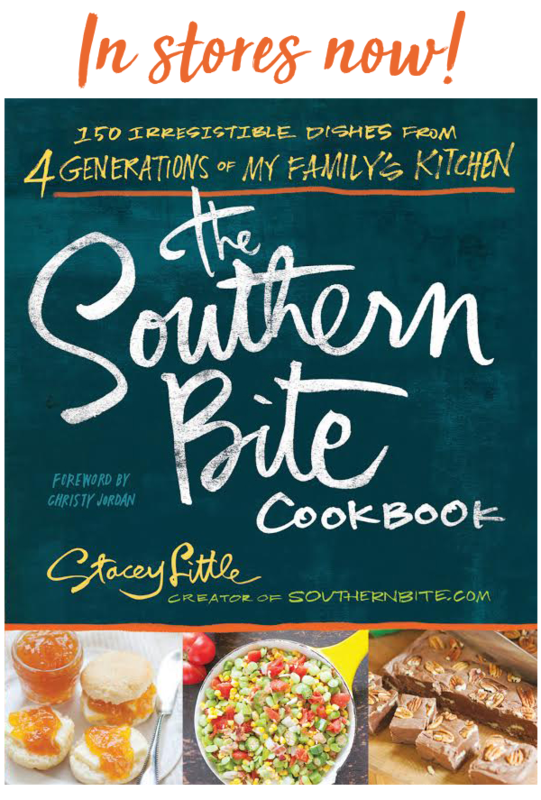 Brings back memories of my Great-Aunt Claire, who was a wonderful southern cook! I love the cornbread mix, but love all the products. I just moved back to my home state of SC from Phoenix AZ and can now finally get all the Martha White products! This looks great! I love all the muffin mixes, but anything from Martha White is pea pickin’ good! Oops! I mistyped my email address! My favorite would either be the Pumpkin Spice Flavored Muffin Mix (oh, how I love these but they are sometimes so hard to find that when I do, I need to hoard them) or the Chocolate Chocolate Chip Muffin Mix. When it comes to the muffin mixes I can’t pick a particular favorite. I love muffins and love all the flavors, so my favorite would be all the muffin mixes, oh soooooooooo delicious. Martha White muffin mixes are the best! These sound amazing!! My favorite Martha White product would have to be self rising flour gotta have some butter milk biscuts !!! Martha White Flour and meal. The best there is. I love the chocolate chip muffin mix – it makes such tasty muffins! I love all Martha White flours!! Bake with them all the time. Can you tell me what I would replace the Martha White Self Rising Corn Meal with? I’m in Washington St and that’s not available here. Is it corn meal, baking powder, salt???? It’s simple self-rising corn meal, so another brand would work. It’s also not hugely important that it be self-rising in this recipe. Regular fine ground meal will work too. 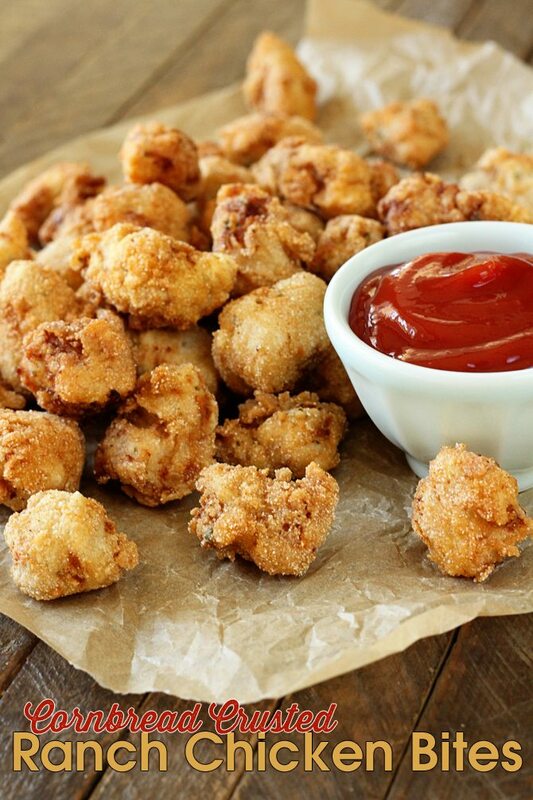 My favorite’s the Hush Puppy Mix with onion. Love the Martha’s white muffins mix. Love Martha’s products but can’t get them in Oregon. Please bring them in to Oregon. My favorite is the self-rising cornmeal. What would corn bread be without Martha White self-rising cornmeal? It’s my favorite! My very favorites are the self-rising cornmeal and the muffin mixes. I always keep a supply on hand because they are easy and delicious. Love the muffin mixes, makes it easy to have a snack. Good old Martha White AP flour is my go-to. can use it of make anything I need to make including muffins, biscuits, cace and pie pastry. I love to use up very ripe bananas by adding them to a muffin mix, especially the strawberry muffin mix. Quick, easy , delicious! My 5 year old, who is the pickiest eater ever, LOVED these! He even asked to have the leftovers for dinner tomorrow. Thank you!! That’s awesome, Rachel! Love to hear that! There is a “Closed on Sunday” chicken sandwich that uses ranch dressing mix both in the marinade and in the breading. Cornmeal mix might be a good twist. Thinking of using with shrimp instead of chicken. Blueberry muffin mix is my favorite! Love the Blueberry Muffin Mix!